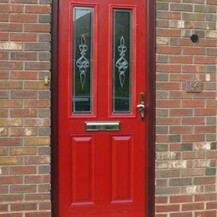 Composite doors are a modern alternative to hardwood with the long lasting benefits of uPVC. 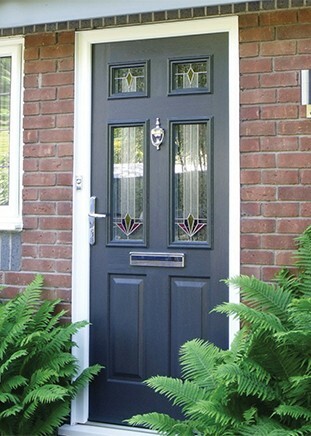 Versatile composite doors are made using a combination of materials such uPVC (Polyvinyle chloride), hardwood, GRP (Glass Reinforced Plastic)-for long lasting performance and insulation Foam. 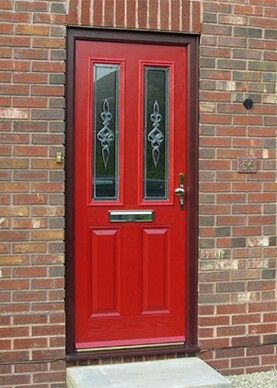 Composite doors feature a layer of thermal insulation and a solid sub-frame which add to their qualities of heat retention and strength. 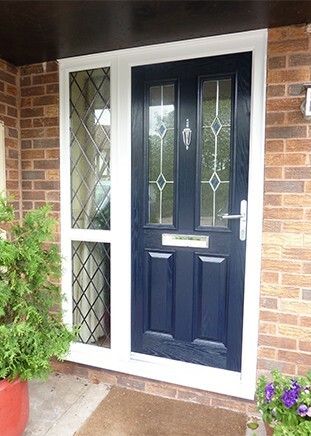 The insulation is made from a polyurethane foam core, which is 100% CFC (chlorofluorocarbon) free, and the sub-frame is approximately 1.7 inches thick and often accompanied by an outer layer of hardwood. 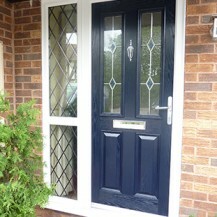 The combination of materials used help improve the energy efficiency of your home, whilst the strength of a composite door means it is highly resistant to warping, twisting or cracking and can last up to 35 years. 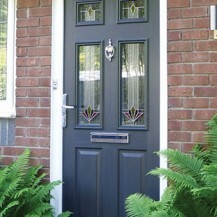 Composite doors are available in a wide range of traditional and contemporary designs such as Victorian, Georgian and Edwardian, colours and finishes- including natural wood grain finishes that look and feel like traditional stained timber.